AP -- Tim McCarver found it a bit hard to offer any analysis after this honor. McCarver, an All-Star catcher who discovered a second career as a folksy announcer known for explaining the game in exacting detail, won the Hall of Fame's Ford C. Frick Award for broadcasting excellence on Wednesday. "I don't know about talking about my legacy," he said on a conference call. "I feel a little strange about that." He did point to two elements for success for any baseball announcer -- "being right" and "staying contemporary." The 70-year-old McCarver has worked for Fox since 1996, and has been an analyst on national television networks for three decades. He also was with NBC, ABC and CBS, and has won six Emmy Awards. McCarver previously was part of the broadcast crews for the Phillies, Mets and Yankees. He became the second person to win the Frick Award primarily as an analyst, joining Tony Kubek in 2009. 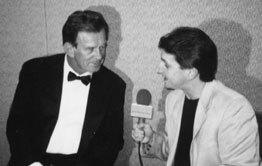 "Tim McCarver has been the face and voice of baseball's biggest moments on national television," Hall of Fame president Jeff Idelson said. "His wit and intuition, combined with his passion for the game and his down-home style, delivers a trusted insight for viewers." McCarver will be honored in Cooperstown during the induction weekend in late July. Earlier this week, Cubs third baseman Ron Santo was elected to the Hall a year after his death. McCarver said he was looking forward to sharing the podium with Santo's family. McCarver and Santo played against each other for more than a decade in the NL and both blossomed as broadcasters. McCarver said he'd only been to one Hall induction ceremony, when his pal Phil Rizzuto was enshrined. A prep star while growing up in Memphis, McCarver made his major league debut in 1959. Fast for a catcher -- he once led the NL in triples -- he became a two-time All-Star and helped the St. Louis Cardinals win a pair of World Series championships. McCarver later played for Philadelphia, Boston and Montreal. He hit .271 with 97 home runs in a 21-year career that ended in 1980. The Phillies then quickly hired him as an announcer. Asked how much longer he wanted to work, McCarver said he hadn't made plans to retire anytime soon. "My energy for the games has not changed. I still love what I do," he said. A 20-member panel that included Vin Scully, Joe Garagiola and the rest of the 15 living Frick winners picked McCarver from a 10-person ballot. The award is named in memory of the former radio broadcaster who became National League president and eventually baseball commissioner.